know the breeder of your dogs, please contact the breeder first. dog for its lifetime and those non-member, responsible breeders will also want you to return the dog. If you adopted your GWP from another rescue or an animal control facility, please check your contract, as some adoption contracts require that you return the dog to the rescue facility. If you cannot find the breeder of your dog or the breeder has refused to help you, then contact NGWPR. We request that you submit color photos of the dog; a head shot and a picture of the dog's body with your initial inquiry. An Owner Information Form will be sent to you for completion. This form gives us an insight into the lifestyle of your pal and which foster family will work best. Once the information about your dog is received, and we determine that the NGWPR will be able to take the dog into our program, we will request the dog's health care information. We ask that owners releasing their dogs into the program, see that the dog is spayed or neutered, is up to date on all vaccinations and provide documentation that the dog has received heartworm medication or has recently been tested for heartworm. If an owner is unable to complete the necessary health updates, we then request a monetary donation to cover the costs for the initial health care. If there is a financial hardship that mandates the placement of your dog, please feel comfortable in sharing this with the Coordinators. 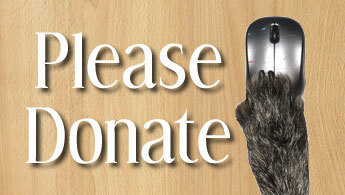 No dog will be turned away, due to the owner's inability to provide medical care or a monetary donation. NGWPR may, however, ask for documentation of your current situation. While you are working on gathering the health information on your dog, the coordinators will be arranging transportation and foster care. Since NGWPR's foster care system is all-volunteer program sometimes it does take awhile. With the number of dogs currently in the rescue program, there isn't always an immediate opening in a foster home. When you deliver your dog to his/her new foster parents or to the foster coordinator in your area, please have the following with you, any registration paperwork, copies of health records and a list of the foods he/she has been eating and any likes or dislikes the dog has. At the time of release, we will ask you to sign an Owner Release form giving NGWPR the legal right to care for your dog. Oftentimes owners releasing their dogs would like to follow up and see how the dog is doing in its new home. We cannot give out the names or phone numbers of the adoptive family but we will provide them with your contact information if you wish. Most generally our adoptive families are happy to provide letters and photos of their new family member to a former owner. 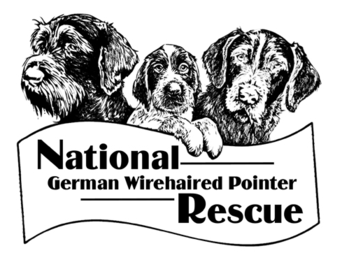 If you are in the awkward situation where you care deeply for your GWP but the issues you are facing with your GWP have you at wits end, and you feel that relinquishing the dog into a rescue program is your only option, please contact the National Coordinator or your Regional Coordinator Our goal is to keep GWPs in their homes if possible. GWPCA has members throughout the United States and these folks have years of experience working with and training GWPs. Oftentimes, the problems can be resolved if you have guidance from a member/ volunteer who knows GWPs. Our coordinators will request that a GWPCA member in your area contact you. With a bit of guidance, hopefully, the dog can remain with you. Be sure to check out the 2018 Rescue Highlight video found on the "Contact Us" page.